Club sandwich, Cobb salad — I keep arguing with myself about which was really the inspiration for these. It probably doesn’t matter, though, because they’re just plain good, and easy to make. 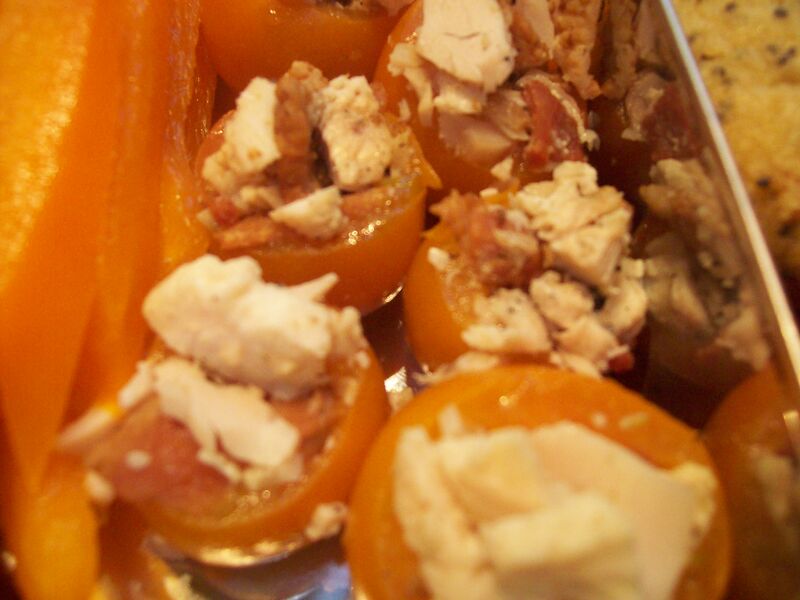 I tested these out on L., so I made them pretty simply — just the chicken and bacon, inside the tomatoes. You could add whatever you liked to these to jazz them up, though. I’d think some shredded cheese, some avocado, or some finely diced spinach or basil would be excellent additions. You could also go meatless with some diced hardboiled egg in place of the chicken/bacon combination. 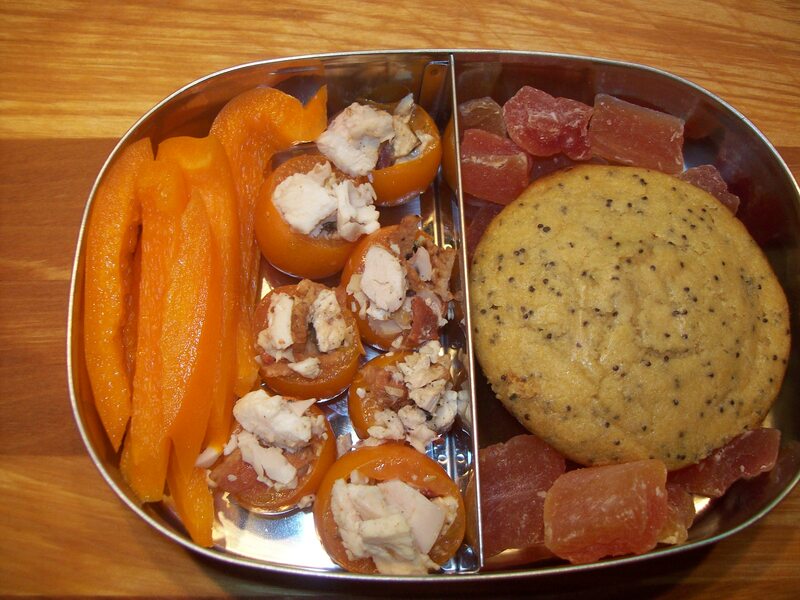 Whatever you choose to do, these are a simple, neatly packaged lunch that looks great in the lunchbox and tastes even better. Mix the chicken and bacon together in a small bowl and set aside. Cut the tops off the tomatoes and remove the insides and seeds, carefully, with a small spoon. Using the same small spoon, gently stuff the chicken and bacon into the tomatoes, filling them as generously as possible without splitting them.